Manchester United will hope to continue their march in the UEFA Champions League when they host FC Barcelona at the Old Trafford tonight. 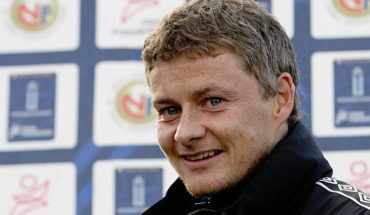 This will be Ole Gunnar Solskjaer’s first European encounter after signing a permanent contract with the club. A clash against Barcelona is perhaps the toughest fixture all season for the club, but if they can do what they achieved in the second leg against PSG, they should be able to trouble a star-studded Blaugrana side. Matteo Darmian will miss out for a couple of weeks due to a niggle, while Solskjaer has confirmed that Ander Herrera is unlikely to feature in the Manchester United lineup. Antonio Valencia and Eric Bailly have also been ruled out and join Alexis Sanchez in the list of absentees for Manchester United. Chris Smalling’s own goal proved to be the difference in United’s 2-1 defeat to Wolverhampton Wanderers in the last game. 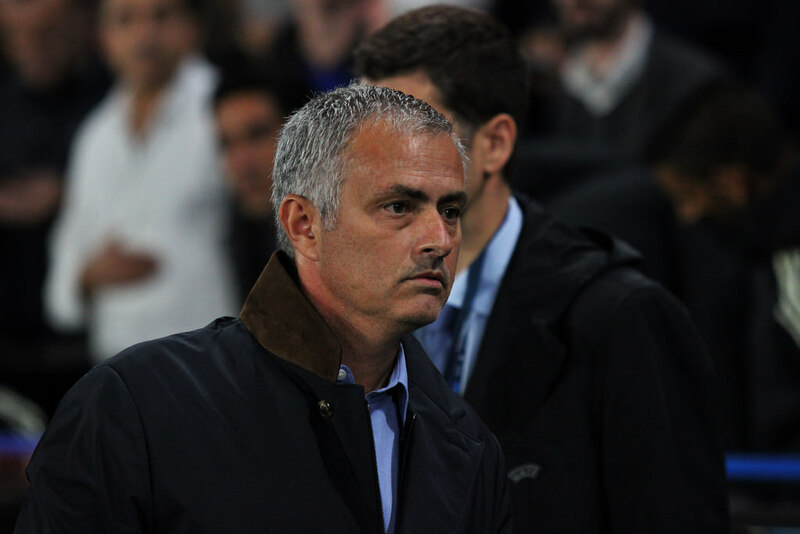 But, the England international will be hoping for a better outing against Barcelona this week. Smalling will play a crucial role in dealing with the threat of Luis Suarez and will partner the ever-present figure of Victor Lindelof at the heart of the United backline. Ashley Young is available despite being hit with a one-game suspension in the Premier League. He will occupy the right-back position while Luke Shaw, who is facing a two-match suspension in the league will start on the opposite flank. David de Gea should retain his place in goal for Manchester United. The Spaniard is likely to have a busy game against Lionel Messi and Co.
With Herrera ruled out while Nemanja Matic also facing fitness issues, Solskjaer could opt for the inexperienced figure of Scott McTominay in the holding midfield role. The Scot will be partnered by Paul Pogba in the double-pivot, although the latter is likely to operate in a slightly advanced midfield role. 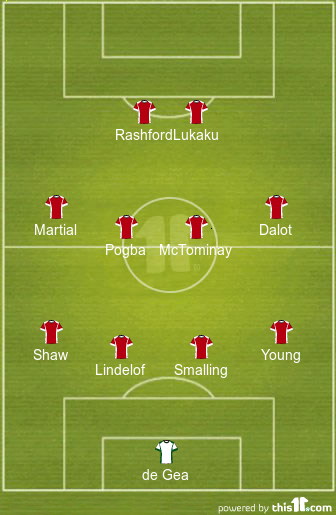 Indeed, Pogba will be crucial in providing the spark in the United midfield while McTominay will look to add the defensive cover to the backline. Solskjaer could opt for Diego Dalot ahead of Juan Mata on the right-wing position while Anthony Martial will occupy the opposite flank. Both the players will offer pace and dynamism going forward, although Dalot is likely to operate in a deeper role when compared to the more attack-minded figure of Martial. The Manchester United attack will be led by Romelu Lukaku and Marcus Rashford, who will face a late fitness test although the coach is hopeful of his participation against Barcelona tonight. 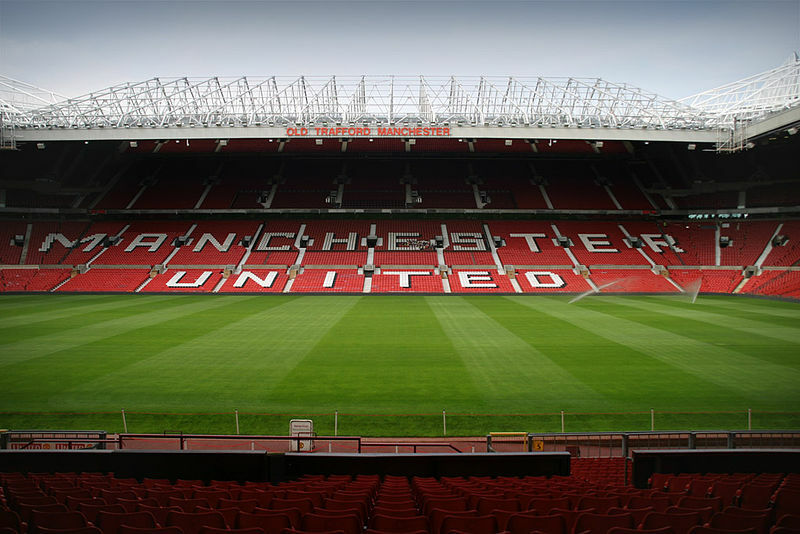 Tottenham Hotspur Readying A Bid For Manchester United Star: A Huge Move In The Offing? Predicted 4-2-3-1 Manchester United lineup vs Sevilla: Pogba to return?